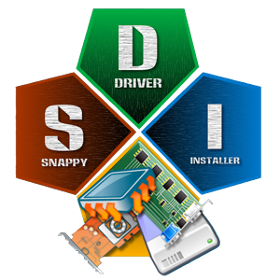 Snappy Driver Installer Origin 0.7.0.576 + DriverPacks 17.05.1 ~ Apps2Portable | Free Portable Apps for PC ! If you lost your discs with drivers, unable to find drivers on manufacturer's website or Windows Update cannot to configure your hardware, you can use this tool to find and install all missing drivers. If you're a PC technician, you can keep the tool on your USB flash drive or external hard drive and use it wherever you go, even it in enviroments with no Internet access. You can also use it after performing a clean installation of Windows. Portable: Keep in on your USB flash drive and use it on the go. No installation is necessary. Up-to-date: You'll be notified whenever updated drivers and the tool become available. Accurate: The state of the art in algorithm of finding best matching drivers for any devices. Open source: Licensed under GNU GPL v3.0. You can review the source code and submit patches. Multilingual: Twenty languages are supported. Your language is probably among them. Customizable: Pick any theme you like or make your own.